CS KickStart participants get a robot demonstration. 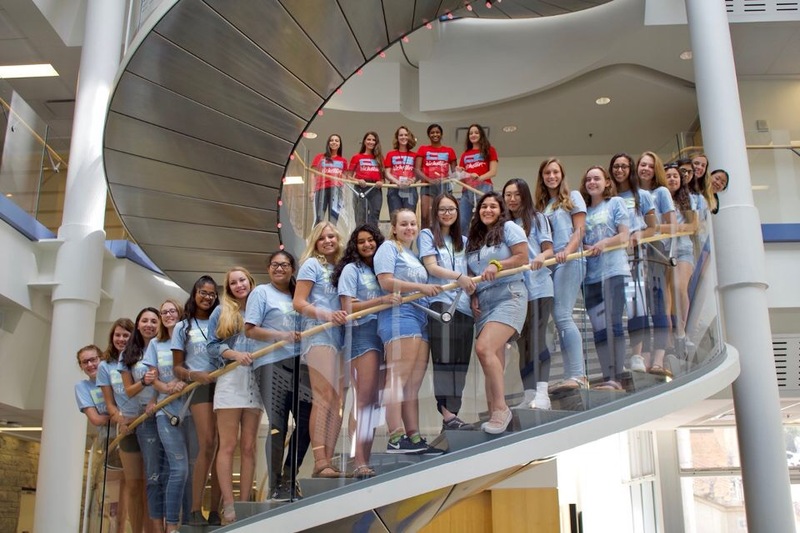 The third annual CS KickStart gave 22 incoming women in CS a hands-on look at the skills and careers on offer in the world of computing. CS KickStart is a free week-long summer program for first-year students that aims to improve the enrollment and persistence of women in CS and give women a voice in shaping the future through technology. 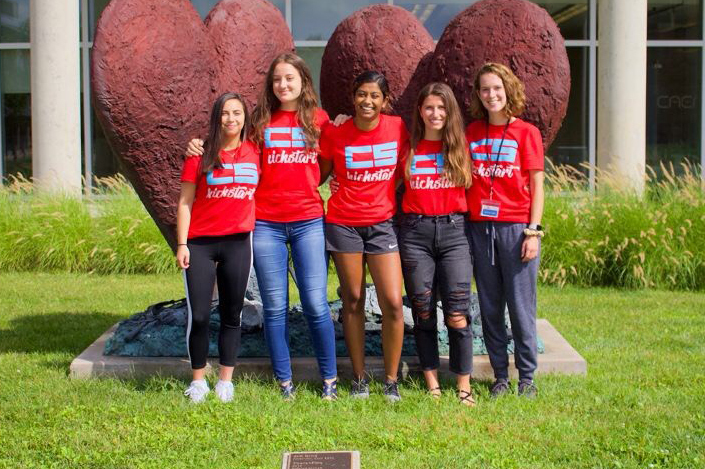 The organizers of the 2018 program were Sage Renstrom-Richards, Meghana Somsaale, Rebecca Andrews, Jenny Sokol, and Audrey Ladd. Through the program, they strive to strengthen the community of women in CS and expose them to the diversity of the tech industry. During the week, the program organizers facilitated conversations about diversity, taught participants how to program, provided them with campus resources, and showed them the applications of computer science in academia and industry. 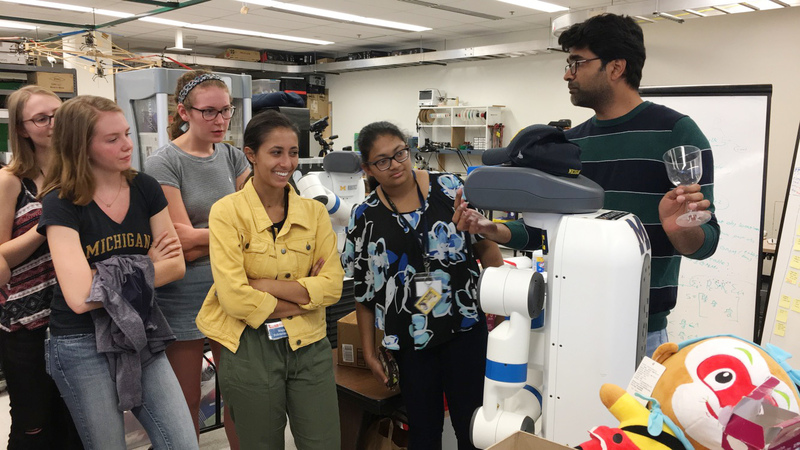 This year, participants worked on lab projects, attended faculty talks, and toured local businesses to get a broad picture of the different career options in computer science. The main draw of the event was its series of labs and workshops that taught students a number of basic CS skills. The program offered seven python labs that covered loops, functions, lists, and other coding basics, an introductory C++ lab, an Arduino lab, and a computer architecture lab that gave them the chance to tear apart old computers and find parts. Trishani Patel and Julia Trautmann tear apart a computer in a hardware lab. Students toured Atomic Object, an Ann Arbor-based company that provides custom software to client companies, and Arbor Networks, a network visibility and security company. In addition they attended a panel of five industry guests, learning about workplace culture, working as a woman in tech, and how they can prepare themselves for the workforce. Faculty speakers included Kentaro Toyama, W.K. Kellogg Associate Professor of Community Information at the School of Information; John L. Tishman Professor of Engineering John Laird; Prof. Reetuparna Das; and the work of Research Prof. Roya Ensafi, presented by her PhD student Reethika Ramesh. Throughout the week’s events, organizers put an emphasis on building community among the participants, says Andrews. Andrews considers herself one of KickStart’s success stories, and has now helped organize the event twice.